Finally caught you two. Great RR so far. Really liking the pictures and commentary. I had stopped reading RR for a few years. When I got back into it, I found @EvergreenE , which led me to @rtwpaul , which led me to @Normlas, then @XR Valdeez which finally led me to you two. What a great time reading all of them! Safe travels. Looking forward to the trip north and beyond. joenuclear and skibum69 like this. The roads out and around the penguin colony looked cool! Miss riding with you two! Keep up the good work! Yeah I met all of them and rode some miles with most. Good People. Glad you like the report. There is more to come although I don´t know where we are going yet. Kind of in a vacuum where no decision can be made. Strange Situation. Hang on and you will see. Yannick, XR Valdeez, HiJincs and 1 other person like this. Not the best use for a helmet, but if there is Nothing else around you have to. Was good fast gravel (up to 5th gear close to 60 mph) with an occasional Deep gravel section an ditch to Keep it interesting. Was good to ride with you too. Good times. Enjoyed it a lot. Keep watching! Enjoying this report so much - thank you for taking the time to write it . Glad you like it and good to have you on bord. As Long as there are People out there following a Long I will go on writing. forgorin, Smidty, george248 and 6 others like this. 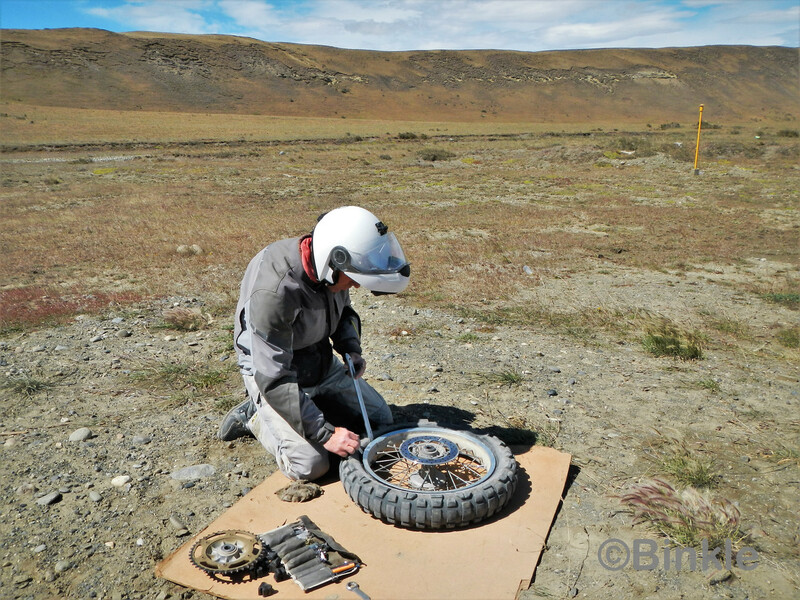 We moved on to Puerto Madryn, the place we actually ordered the tires to. They arrived during three days although all were ordered the same day. After I had them all I had a busy afternoon and mounted them. Good to go for, I hope, at least another 10000 km. 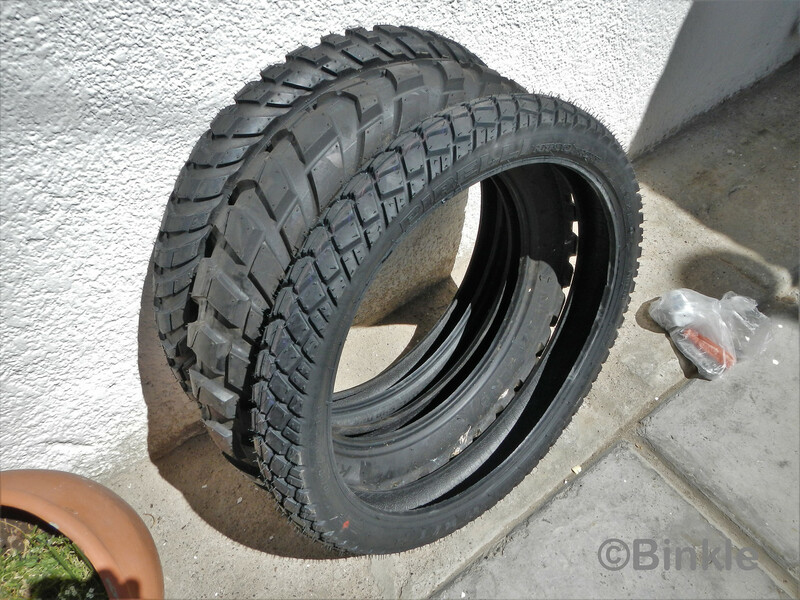 A side note on tires in Argentina: We ordered ours with Mercado Libre (a sort of Ebay). If you search for a while you can find pretty decent priced tires. 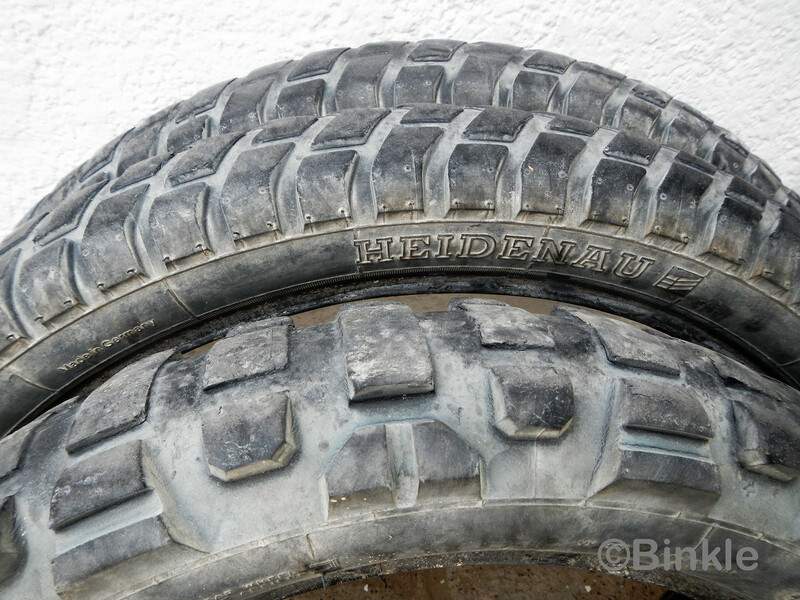 Not all brands (no Heidenaus), but I guess mostly tires made in Brazil or china. The shipping is free with some. You need a Mercado Libre account which is a little hard to get, but Sandra somehow managed. We got our Metzeler and Pirelli tires for around 100 US each for our KTMs. You can have them send to an address or pick them up at a post office and you get a tracking number. Bad thing is Mercado Libre is Spanish only. 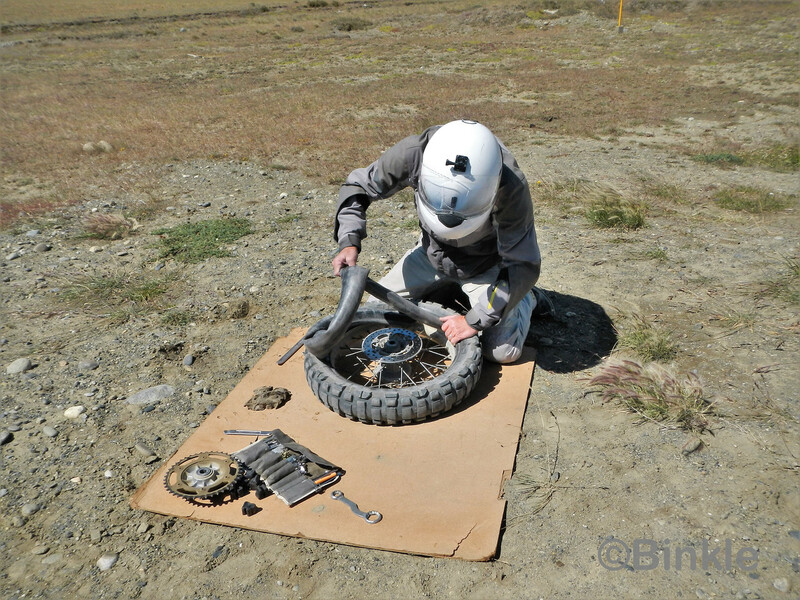 Just another way of getting tires in Argentina and Chile as well. 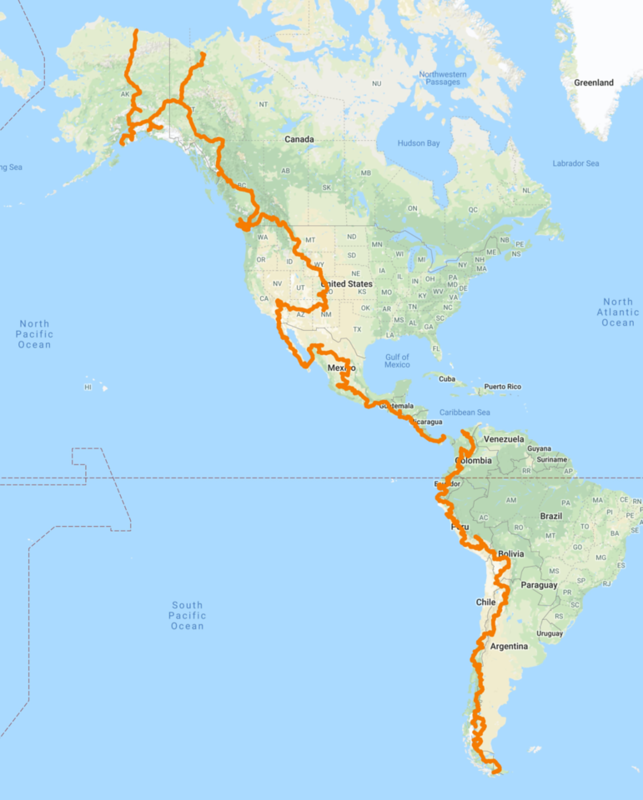 Almost forgot: most don´t ship to Tierra del Fuego. the Heidenau fronts I put on in Nicaragua. 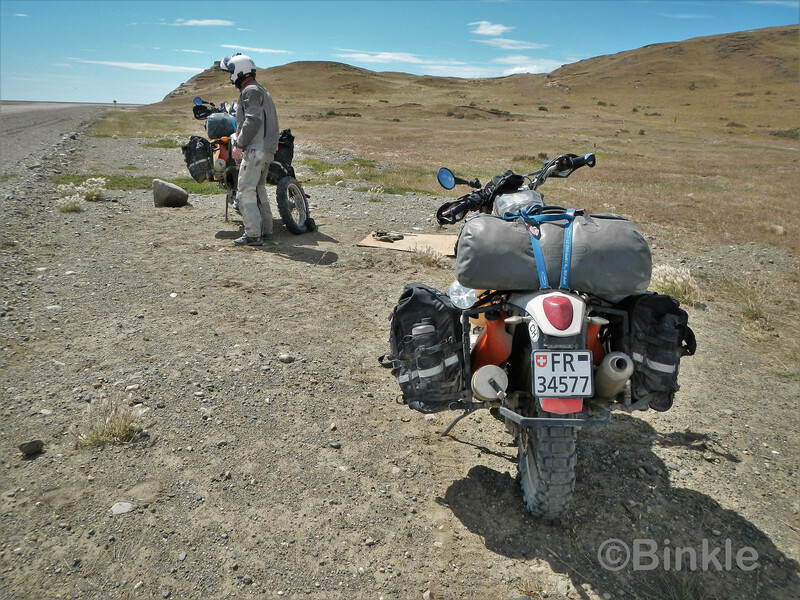 26000 km is not bad and they were not all the way down yet. BillUA, squadraquota, SmilinJoe and 14 others like this. WOW! 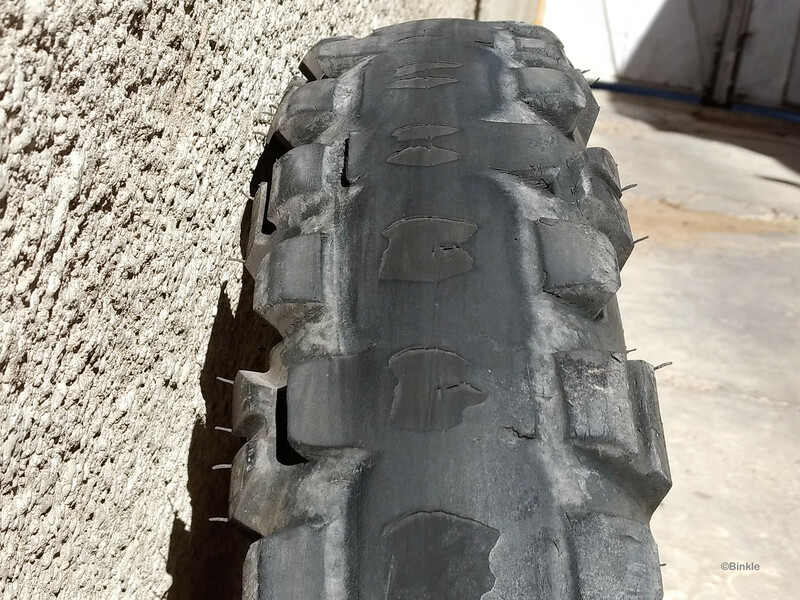 Can't believe you swapped out those Heidenau's with SO much tread left! yeah , dont know what happened, clicked on edit n all was there ? Just a comment about the tire , just to say between you n gperkins it is a draw on getting the most use of your tires. oh Steve, my heart bled taking them off with 1 mm left. What a waste! So many miles left! I just didn´t want to carry the new ones around. the more I get out of my tires the less is the possibility I ever have to go to work again. That makes me really run them down. Maybe I should give People the posibility to sponser me with some "tire Money". Just kidding. What is your plan now? Are you going to return to the states (or north) via the opposite side (east) of SA? Meaning, thru Brazil, French Guiana, Suriname, Guyana, and Venezuela? sorry to hear you ran out of land....awesome achievement! sorry to hear you "ran out of land..."
Still no real plan. At the Moment anything can happan. We still don´t know yet. 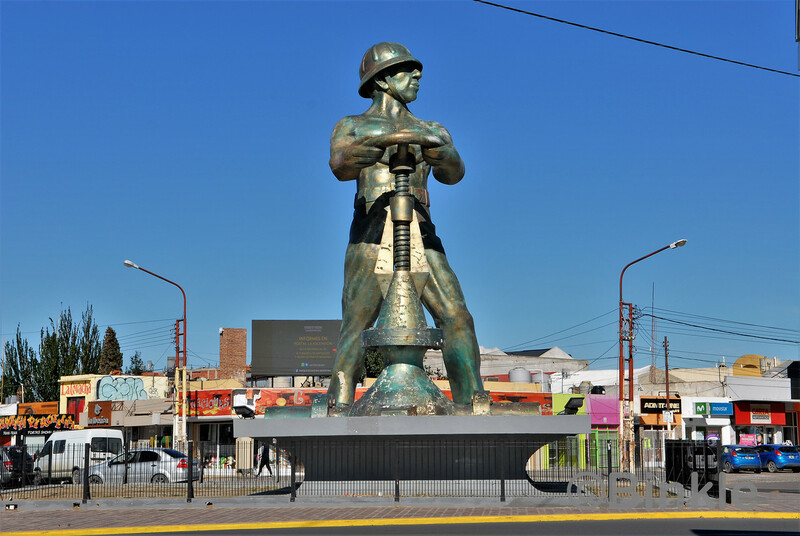 Just so far - we will be in BA the day after tomorrow for a break. Yeah, no more land, but it was still good to be there after all those miles. Geezerguy, joenuclear, NSFW and 2 others like this.